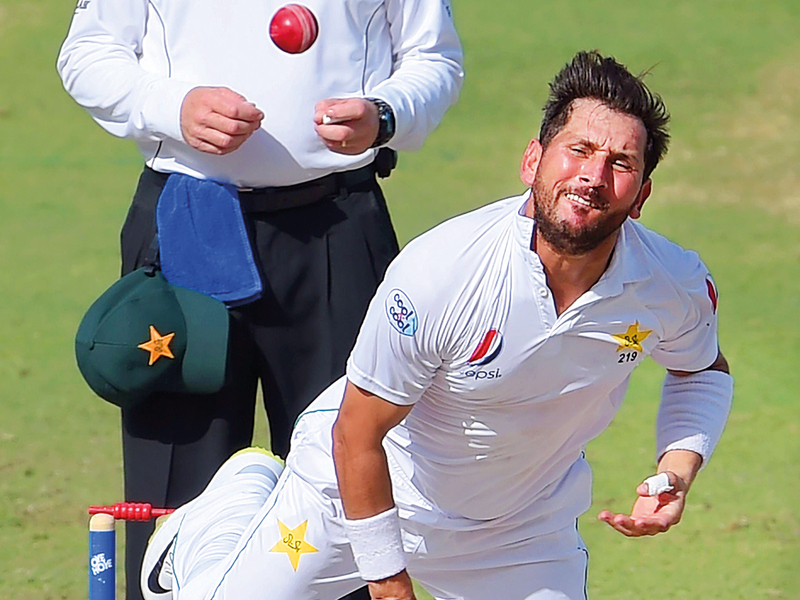 Abu Dhabi: Pakistan leg-spinner Yasir Shah has become the fastest bowler to reach 200 wickets in Test cricket, breaking Australia’s Clarrie Grimmett’s feat set 82 years ago. Yasir made the record in just his 33rd Test match - surpassing Grimmett’s who took 36 Tests to reach the milestone against South Africa in Johannesburg in 1936. Yasir reached 100 wickets in 17 Tests, second only to Englishman George Lohmann who reached the target in 16 matches during a Test in Johannesburg in 1896. India’s Ravichandran Ashwin took 37 matches, Dennis Lillee (38), Pakistan legend Waqar Younis (38) and Dale Steyn (39) to reach the 200-landmark. They are followed by legendary spinners Shane Warne and Muttiah Muralitharan, who needed 42 matches each to bring up their respective 200th wickets.